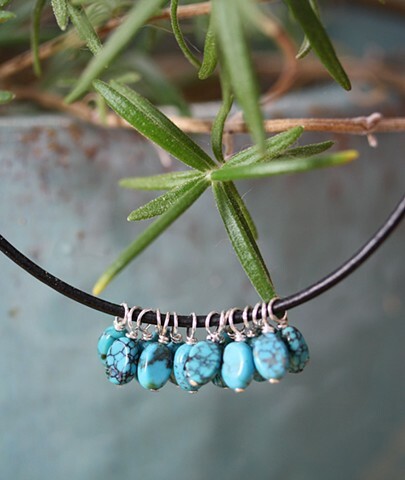 Beautiful little turquoise ovals, fifteen in fact, on sterling wires dangling sweetly on a black leather cord. Sterling lobster claw clasp with 2" sterling extender chain. Approx 16 3/4"118 3/4"